Frank Sinatra famously crooned “It Was A Very Good Year,” and for the Amelia Island Jazz Festival, this year is already shaping up to be a great one. 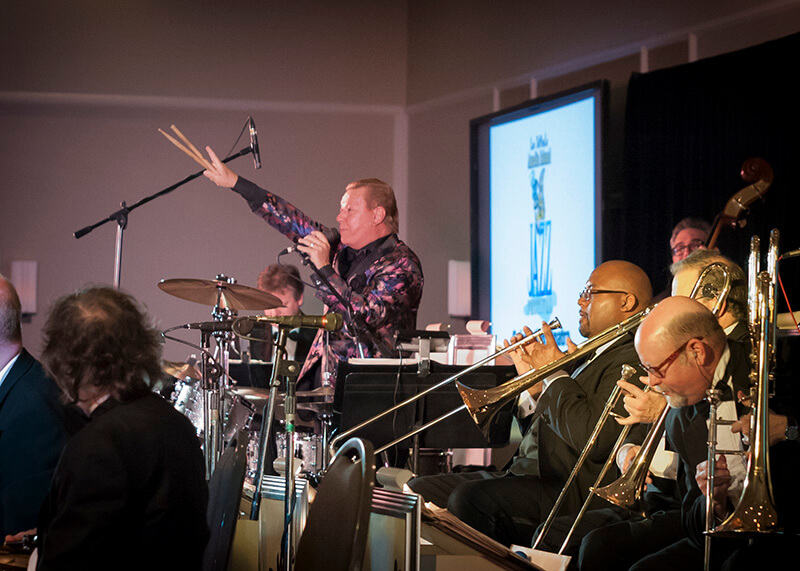 The Amelia Island Jazz Festival’s 5th Annual Big Band Bash, held on Feb. 14 at the OMNI Resorts Amelia Island Plantation in Florida, saw a night full of Sinatra, music, art and generous donors raising $10,000 to support the festival and its music education and appreciation programs. The Amelia Island Jazz Festival is a not-for-profit corporation that holds workshops and concerts focused on music appreciation and education. 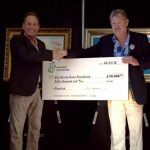 An annual festival is held every October on Amelia Island, with proceeds benefitting the festival’s programs for children and seniors as well as the Amelia Island Jazz Festival Scholarship program. High school seniors seeking a major or minor in music are eligible for the scholarship. The Big Band Bash gala benefits the festival and its programs that run throughout the year, offering guests a night of music by Les DeMerle, his 17-piece band and the great vocalist Bonnie Eisele. 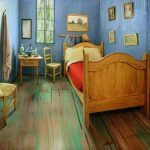 The night also includes dancing, a gourmet meal and a charity auction. This year’s gala featured special guest Sam Kouvaris of WJXT-TV, a Sinatra aficionado who sang some of Sinatra’s famous tunes during the fundraiser. 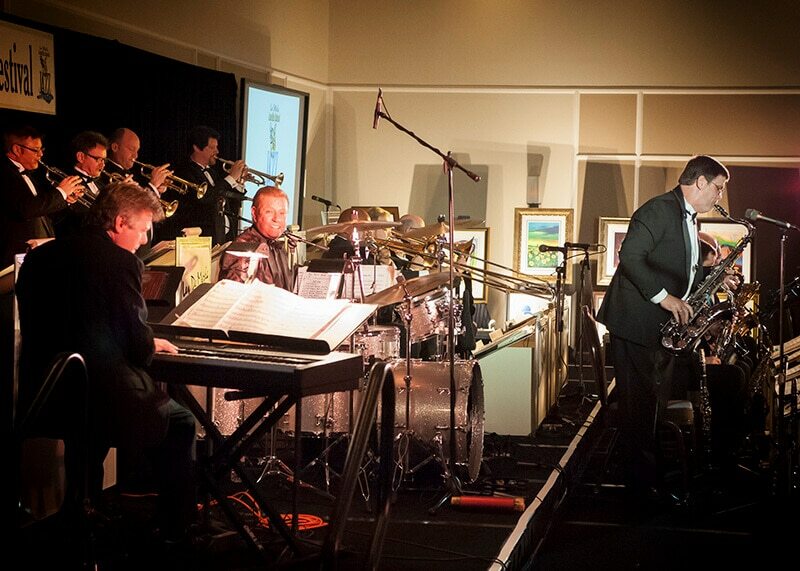 Joining in the fun was Park West VIP Art Auctioneer John Block, who hosted the charity auction. The night was made even more special by showcasing the young talent the festival supports. Every year, DeMerle and Eisele visit Yulee Middle School to inspire the students. As a special treat, DeMerle had two of the musicians from Yulee join his band on stage to perform with them. Andy Shepard, director of band and chorus at the middle school, said in a note to DeMerle that it was an experience the students will always remember. Aside hosting the auction, Park West team members personally contributed to the cause, including Martin and Roxana Botha, Will Roberts and Justine Covey, Nenad and Katie Stojanovic, and Matthew Ketteman. 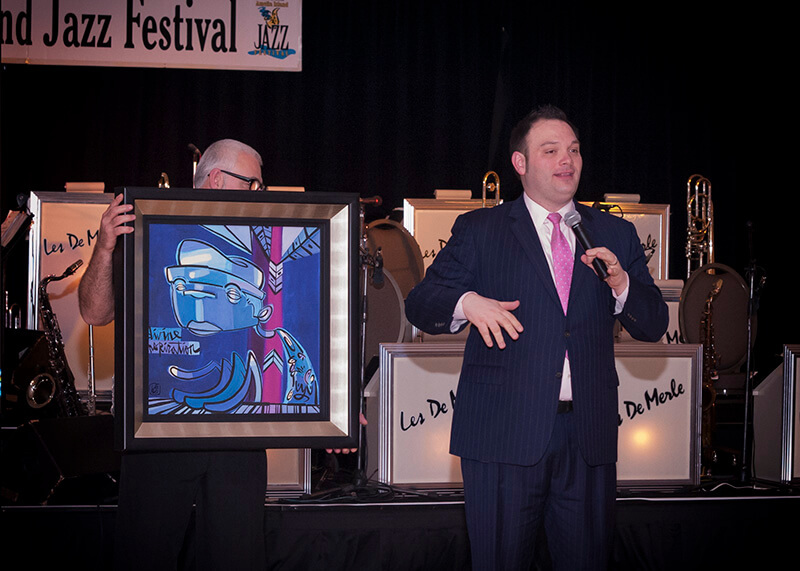 “Park West is very proud of our kind and generous artists and team members who have donated their time and personal funds to the Amelia Island Jazz Festival,” Block says. For more information, visit the Amelia Island Jazz Festival webpage and Facebook page.